An exciting new category of connected health devices is emerging. It holds promise for disease management, remote care, and precision health. This new category blends two historically distinct worlds: 1) regulated medical devices, and 2) consumer wearables. The powerful combination of these two worlds offers patients and health-conscious consumers new solutions that marry the ease of use and wearability of consumer devices such as FitBit with the accuracy and quality of doctor-prescribed equipment like the Holter Monitor. What this new category of connected health devices enables is the ultimate goal in remote patient monitoring - the ability to offer the same level of medical quality found in hospitals to a patient at home. Remote patient monitoring (RPM), while exciting, also includes many challenges. First, there is the issue for wearability. Wearability is not only the most subjective issue, but perhaps the biggest challenge to RPM device adoption. Simply put, if the patient doesn’t wear it, it won’t work. These new devices overcome wearability challenges by utilizing form factors that are consumer friendly, but packed with high quality, medical grade sensors. With wearability under control, the second challenge with RPM is data quality. Medical quality data is information that clinicians can actually trust and consider in care, and a key benchmark is FDA clearance. FDA clearance not only ensures a certain level of product safety, but also that the device meets performance quality standards in terms of effectiveness and manufacturer’s claims. This FDA distinction is an important consideration in separating true wearable medical devices from general consumer fitness and wellness trackers. As these devices come to market, the future of visiting the doctor looks very different from today. Medical quality data on patient vitals and other relevant healthcare data can be gleaned from these wearables, allowing the consultation to take place over video or phone remotely. With comprehensive data on patients available to both patient and doctor, healthcare management becomes not only more efficient, but also more accessible to all. The growth of medical grade wearables is evident by the increasing number of FDA cleared devices being introduced into the consumer market. These examples demonstrate areas of health monitoring that have been taken to new levels or weren’t feasible before. Withings Blood Pressure Cuff is an example of a mainstream consumer company that was able to make the leap into the regulated market successfully. The FDA cleared cuff allows patients to give their doctors daily snapshots of their blood pressure and send regular measurements directly to their doctor. Eversense, the implantable continuous glucose monitoring system from Senseonics, recently received FDA clearance. Glucose monitoring, even with the developments of new sensor-based technologies, has maintained its reputation of generally being a hassle. It promises an upgraded, hassle-free monitoring experience for the patient and data accuracy that meets your physician’s needs. While it does still need to be implanted by a clinician, it is an exciting development that falls into this new category. Empatica’s Embrace smartband for epilepsy does more than monitor seizures. It tracks activity, sleep and other areas that impact episodes that are difficult for a parent to get or convey an accurate picture of to a doctor. The FDA-cleared device has attracted the likes of NASA and top children’s hospitals by offering a solution a child will wear, parents will monitor and doctors can trust. Fever Scout tackles monitoring a vital sign that needs continuous attention: body temperature. Fever is often one of the first signs of infection in the body and it fluctuates constantly. FDA-cleared for adult and pediatric use, the device is currently available in multiple countries. This emerging medical grade wearable category covers a broad range of therapeutic areas and healthcare needs. Some target large numbers of consumers and patients; some tackle more niche diseases. 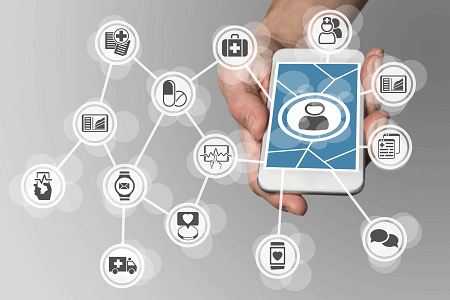 All have immense impacts on the way a physician treats a patient, as well as how patients can monitor themselves, when it comes to remote healthcare.